From Inner to Outer: Digression: Books I'm Reviewing—D.W. 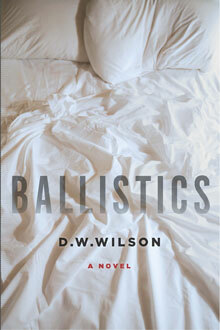 Wilson's "Ballistics"
Digression: Books I'm Reviewing—D.W. Wilson's "Ballistics"
The last time I was in Seattle, I passed by a gun buyback hosted by the police and sheltered under an I-5 overpass downtown. For this unusual, but very American-seeming event the plan was for gun owners to retire their firearms in exchange for gift cards. Even though the buyback was open to everyone, no women were visible. 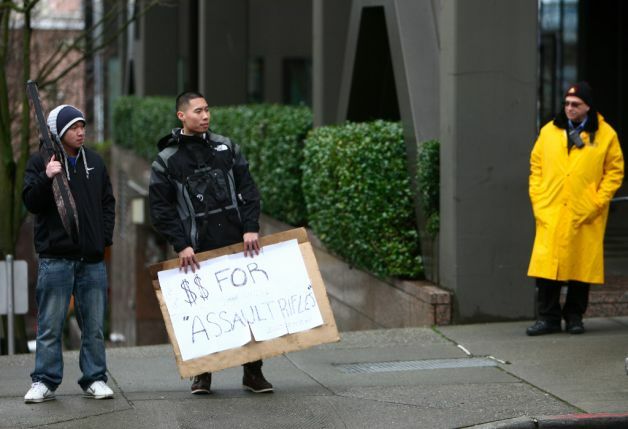 The police soon faced a problem, however: commercial buyers showed up too, pacing outside the territory the police had claimed and holding up signs proclaiming "Cash for Guns," and so on—a big obstacle, in other words, to permanently removing firearms from circulation. Watching them from within the car, I was reminded of the set up in Johan Renck's music video for The Knife's "Pass This On": a drag performer sings before an audience in what looks like a footballer clubhouse. The empty space between the watchful and potentially hostile audience and the delicate lone singer—the dance floor, technically, but also symbolic of the divide between two worldviews, two genders, and two sexualities—seems both menacing and vast. While Renck's video collapses that divide in a utopian fiction of scenes with euphoric dancing, in the reality of an overcast Seattle afternoon in January, I didn't feel so hopeful. Anyhow, this posting is all digression that began with me thinking about the gun-happy guys in Ballistics. Oops.